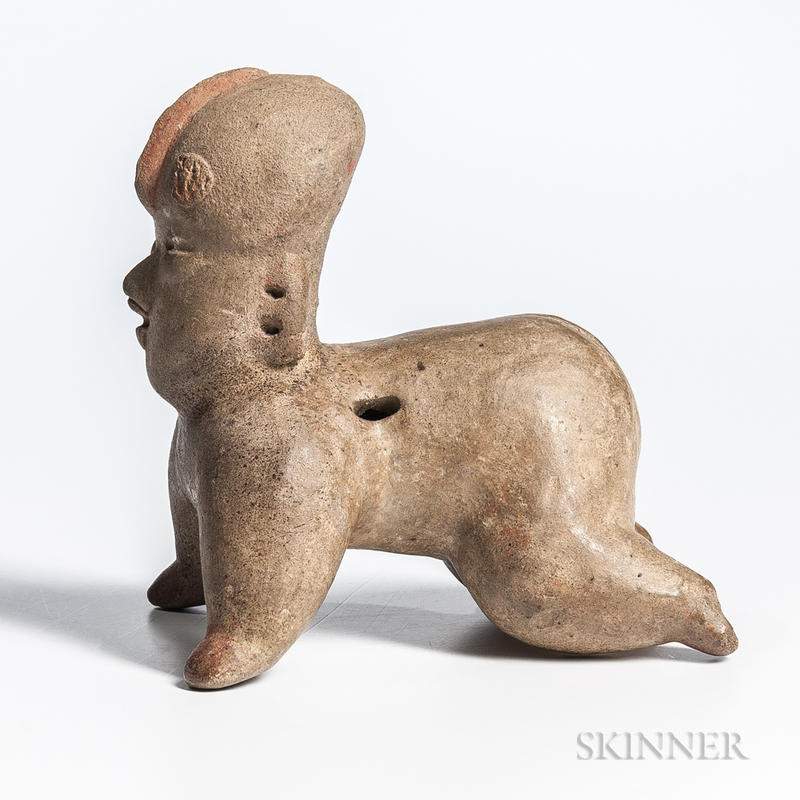 Small Olmec Crawling Infant, middle Pre-Classic period, BC 1200-900 , crawling infant with erect head, open mouth, and crested forehead, ht. 6 1/2, lg. 6 in. Provenance: David Stuart Gallery, Los Angeles, inventory no. R34 on left palm.